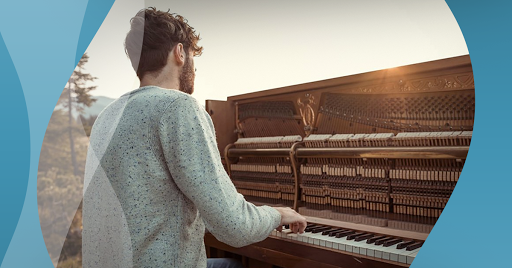 Friday, March 29th, 2019 marks the fifth annual Piano Day – an occasion founded by German pianist and composer Nils Frahm "to celebrate the piano and everything around it: performers, composers, piano builders, tuners, movers and most important, the listener." Piano Day takes place on the 88th day of the year (matching, of course, the number of keys on a standard piano) and comprises concerts and other events all across the globe in celebration of the great instrument. To celebrate the occasion, we have partnered with several of the biggest names right now in contemporary classical music. Be one of the first to play previously unreleased piano works from Ludovico Einaudi, Hauschka, Florian Christl, Alexis Ffrench and Joby Talbot. We also had the chance to catch up with German pianist and composer, Florian Christl, to learn more about his music and inspirations. Read the exclusive interview below. Florian Christl hit the classical scene in 2018 with his debut album, Inspiration, which jumped straight to No. 1 on the iTunes Classical Charts. His passionate, melodic compositions reflect his passion for music and inner emotions. Read on to learn more about Christl and the inspirations behind the two new pieces he has made available for Piano Day. This interview has been translated from German. Lesen Sie hier die deutsche Transkription. How has the piano shaped your life? Florian Christl: I cannot imagine a life without music or piano. I sometimes think of what it would be like if I had not learned to play; I probably would not know what to do all day. I am more than grateful to my parents and grandparents for giving me the opportunity to get piano lessons. Since my first lesson at the age of 6 years, the music and the piano have fascinated me, and with each passing day my passion for music grows. Can you tell us your inspiration behind your two new pieces being released for Piano Day? FC: "Vivaldi Variation": A few years ago I attended a concert and listened to Vivaldi's concerto RV156 for the first time. Already with the first notes of the first movement, this piece has fascinated me to such an extent that it is one of my absolute favorite pieces by Vivaldi to this day. A few years later, I was sitting at the piano and this concert came back to my mind. I played the melody of the first movement, began to improvise on the theme, and gradually this little piano variation came into being – my personal homage to this fantastic piece of Vivaldi. "Spring – Fruhlingserwachen": The idea for this piece came to me almost exactly a year ago. It was the day when the spring sun first appeared. You could feel a kind of changed mood: The winter is over, spring is coming. On the one hand, the piece reflects the lightness of the first tentative, gentle spring sun rays, but at the same time the piece expresses the power and effort that spring has to spend to beat the winter. What are you working on currently that we can look forward to? FC: I am currently working on my new album! There will be a lot of new things to hear, see and play soon. May I'm on tour in Germany, which I'm very much looking forward to. What advice would you give to young pianists? FC: Music only comes to life through the musicians. Not by stubbornly reading notes, but by making the soul of the piece audible. Sergei Rachmaninoff said: "What is Music? Music comes straight from the heart and talks only to the heart: it is love." Florian Christl begins his German tour in May. Tour dates and further information can be found at florianchristl.de. From the newest releases to award-winning bestsellers and everything in between, Sheet Music Direct is your home for premium sheet music. Instantly download and print piano sheet music and more from any device. Enjoy unlimited online sheet music, plus 50% off prints with PASS – try it free for 7 days!